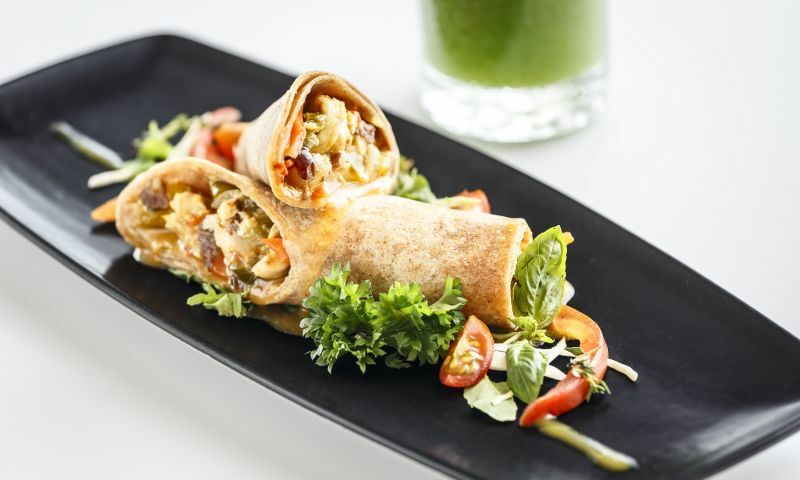 Enjoy a-la-carte dining at 5 restaurants, room service, and premium drinks in our 4 bars on our all-inclusive plan. Motorized water sports are available to all-inclusive guests (and to room only guests for a small fee). From fitness classes and water sports to cocktail parties and nightly entertainment, there's plenty to do at our resort. A multitude of activities, a welcoming vibe, and 64,000 square feet of plush sand beachfront are just some of the qualities that make Windjammer Landing one of the most revered St. Lucian resorts. 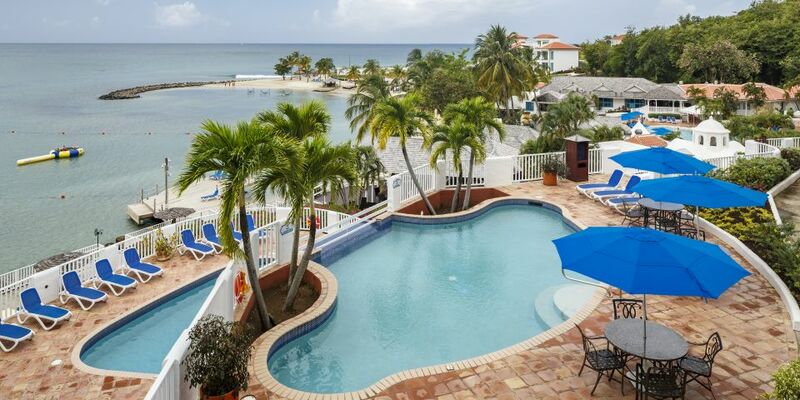 From all-inclusive dining at five celebrated restaurants to six resort-wide pools and three extraordinary event spaces for weddings with a view, there are so many reasons to escape to Windjammer Landing. What’s your reason? Our restaurants range from casual to fine dining but offer only the best in gourmet ingredients, top-shelf liquor, and culinary expertise. We feature five stunning restaurants on-site, three bars, a Manager's Reception, and more in our all-inclusive offerings. When you book your stay at Windjammer Landing, you can prepare for one of the best St. Lucian beaches: 64,000 square feet of pristine white sand lapped by crystal clear Caribbean water. Whether you're here to relax or play, we offer a long list of water activities and excursions to enjoy, including motorized sports like wakeboarding to non-motorized sports like paddle boarding. 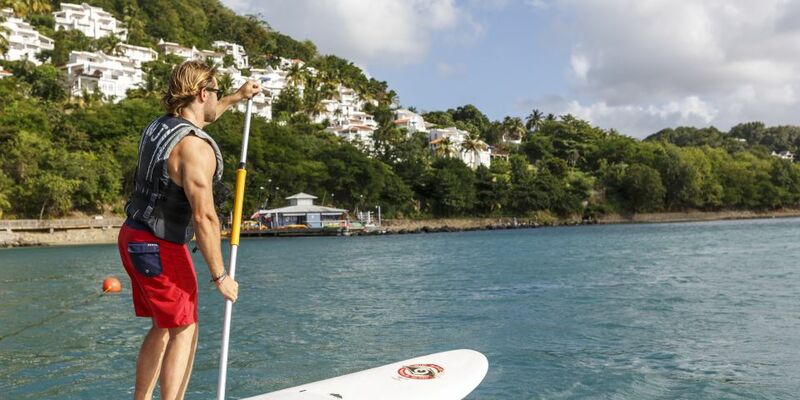 Read on to learn more about what St. Lucia activities you can enjoy during your stay. One of the best beaches in St. Lucia is right here at Windjammer Landing, a 1,500-foot-long, 64,000-square-foot stretch of white sand beach—one of the most spacious on the island. Although many accommodations have their own private plunge pool, there are also six resort swimming pools including two which are perfect for smaller children, a larger main pool and three more secluded pools for more exclusivity. Just a short boardwalk away, you will find our watersports facility, where our friendly and knowledgeable staff can help you select a water activity. 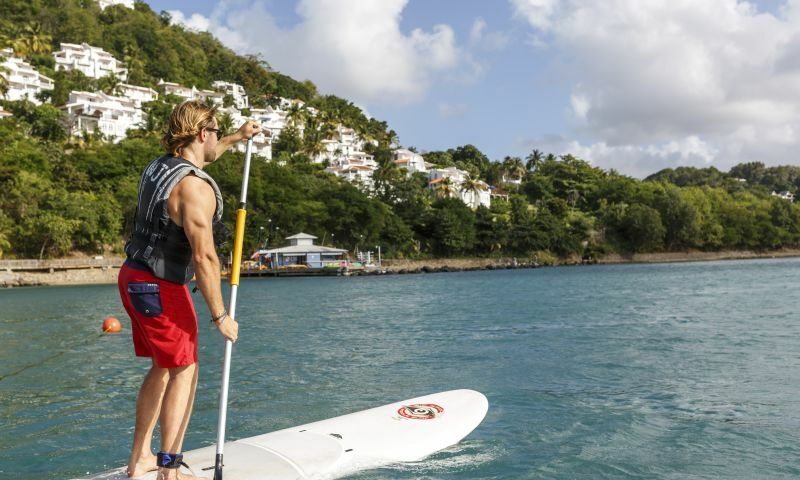 Non-motorized water sports are complimentary to all of our guests and include windsurfing, pedal boating, paddle boarding, tube rides, snorkeling, kayaking, and Hobie Cat sailing. For a small fee (unless you are on the Premium All-Inclusive Plan—then it is free), we offer kneeboarding, waterskiing, and wakeboarding. Lessons for windsurfing, sailing, and water skiing are also available and can be arranged with our watersports team. Windjammer Landing is home to Eastern Caribbean Diving, a fully-equipped dive shop and PADI International Resort Association Member. 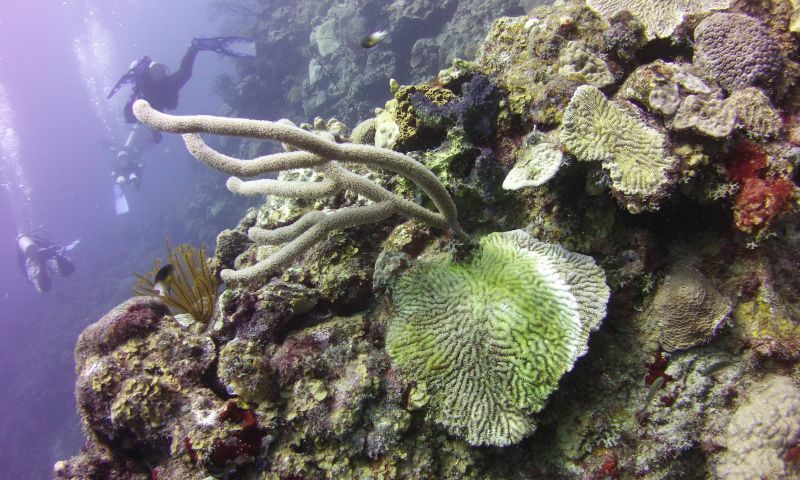 The shop offers daily snorkel and dive trips for beginners and certified divers alike, to walls, wrecks, and reefs. 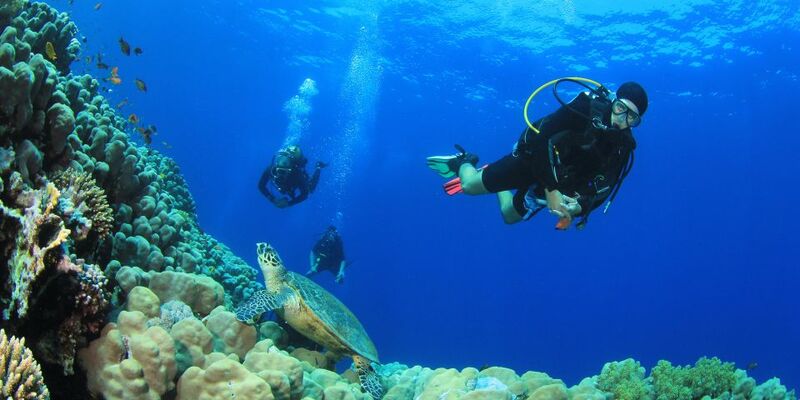 Windjammer Landing is also the only resort on the island to offer children's diving lessons. Expert instruction is available—from Bubblemaker to advanced certification—along with specialty programs such as Underwater Photography, Emergency First Response, Deep Diver, Underwater Videography, Underwater Naturalist, and more. A full range of rental Scuba gear, including underwater video and still cameras, allows you to pack light. We can even capture your underwater experience and create a DVD for you. Learn more about the Dive Shop. Why not sign up for the ultimate adventure while you are here? Immerse yourself in the fascinating beauty of St. Lucia with full-day and half-day tours by land and sea. Choose from sailboat tours, jeep tours, and combination tours. Off-island tours are available via plane and catamaran. 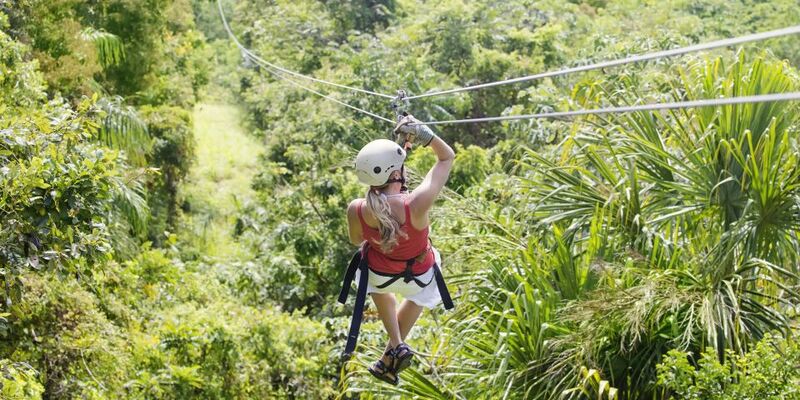 Enjoy rainforest zip-line and gondola tours, volcano tours, cycling tours, deep-sea fishing, dolphin and whale watching, horseback riding, scuba diving, golf, bird watching, helicopter tours, plantation, and historical tours. All Jammin' Tours are carefully selected to deliver the greatest enjoyment, and highest quality of service and all excursions are fully insured. Other tours booked outside the Jammin' tours desk are done at your own risk. For prices or more information, please call 1-877-307-9001 and ask to speak with our tours desk. Learn more about Jammin' Tours. See why Windjammer Landing Villa Beach Resort is considered one of the best resorts in St. Lucia by our guests Read our unscripted reviews below and then book your stay today at our luxury St. Lucia hotel. "We Especially Loved the Personalized Villa"
"This is our 13th year at Windjammer Landing and our second in our two bedroom villa. It just keeps getting better! Our room was immaculate every day. The staff of the entire resort is friendly and helpful. The shuttle service is much faster with more shuttles and we never waited more than 5 minutes for a ride. There are more shaded areas provided on the beach and the hammocks in the water are heavenly. What can I say, it truly is like coming home." Windjammer Landing is pleased to welcome children to our resort for one of the best family vacations in the Caribbean. The whole family will delight in our curated itineraries, including fun activities like water sports, snorkeling, and volleyball. Kids ages 4 to 12 will love the dedicated and supervised programming hosted by the Jacquot Fun Club. There are also numerous daily activities geared for teens looking for their dose of exploration and adventure at one of the best St. Lucia all-inclusive family resorts. 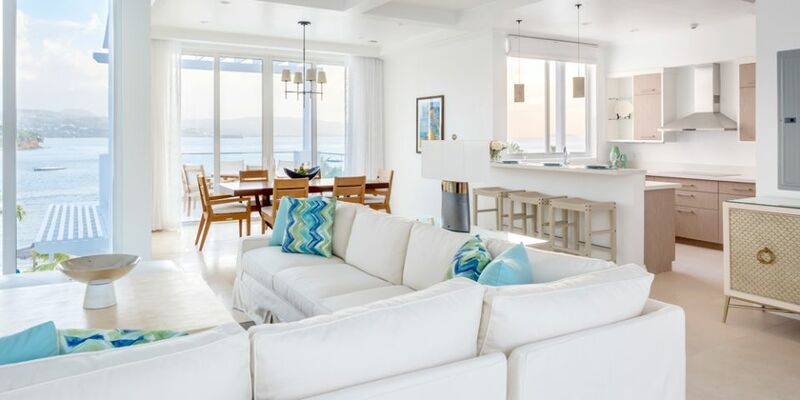 Suitable for the whole family, Windjammer Landing offers two, three- and four-bedroom villas and Estate Villas across the resort with multiple beds, large kitchens, and complimentary Wi-Fi. Many units offer ocean views and private plunge pools as well. Each day brings a new fun-filled activity to Windjammer Landing for your kids to enjoy. 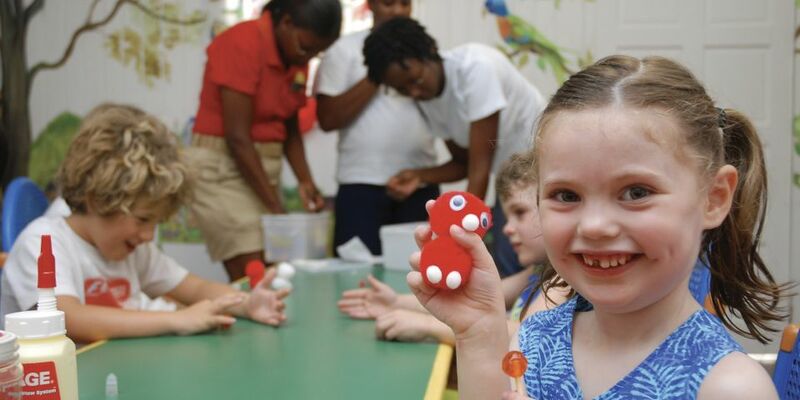 From puppet shows to tennis lessons to arts and crafts, Jacquot Fun Club will wow kids with their extensive offerings during your stay at our Caribbean family resort. Teenagers can enjoy a variety of daily activities on land and water. 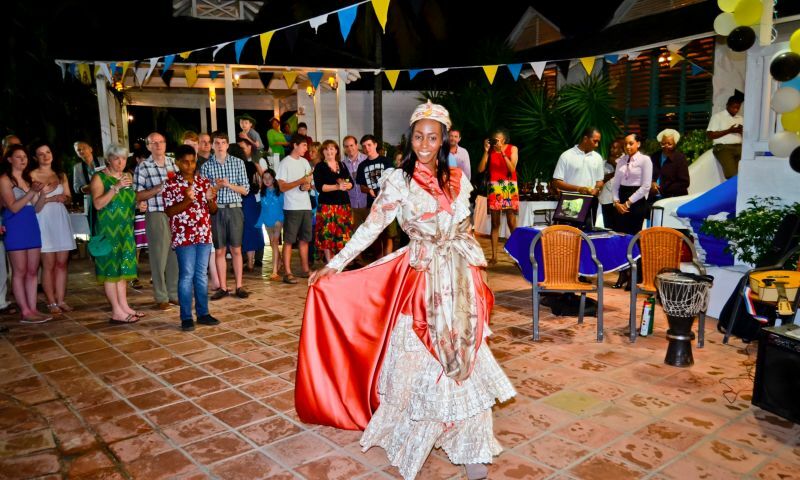 Our St. Lucia family resort also offers a mix of themed, on-site and off-site evening events so the fun keeps going even when the sun goes down. From the Jacuzzi tub in your private villa to the plush white sand on our exclusive beach to our luxurious day spa, there are so many inspiring backdrops to St. Lucian romantic getaways with Windjammer Landing. Among St. Lucia romantic resorts, Windjammer Landing is the perfect destination for couples looking to relax in a secluded hideaway atmosphere, while still enjoying easy access to diving adventures and other opportunities to explore the vibrant Caribbean. Whether you are here for your honeymoon, a vow renewal or vacation, romantic getaways in St. Lucia are something to be treasured for a lifetime. Enjoy sparkling wine and fresh flowers upon your arrival before indulging in a couples massage and private candlelit dinner or champagne breakfast in the privacy of your villa or suite. Picture you and your beloved exchanging vows and promises on ivory sand between pillars of coconut palms. Please submit an RFP to inquire about St. Lucia excursions and accommodations for your group. Whether you are planning a corporate retreat, private dining event, family reunion or other gathering at Windjammer Landing, our on-site event planners will help you every step of the way. Simply fill out the form below and one of our Windjammer Landing event planners will contact you shortly with more information. Email our specialists or submit the RFP below.